Do every simple thing with perfection to become a revolutionist. We don’t have any marketing department in our company. We are going on a way beyond marketing. I was listed as most influential person by times magazine. I was one of the 4 person selected who were Narendra Modi, Arvind Kejriwal and Arundhati Roy. In India , 90% of women are not using sanitary napkins. Many women are using dry leaves, raw dust, newspaper, ash and sand. These things result in dangerous reproductive track infection which can even cause cancer. First thing one need to do something great is clear mind. I was a school dropout that’s why my mind got never corrupted. I have a clear mind. One day I saw my wife using rag cloth. I just thought why not make a low cost sanitary towel for wife. Since I touched the topic of mensuration she got seperated. I got a mission and I opted trail and error method to make my product better. I invented the machine and now mission is flourishing in all over the county and 70 other countries. I want to create employment for millions of rural women. 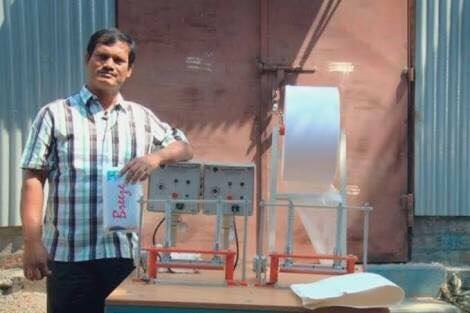 I want to make India 100% sanitary napkin using country from current level of 5%.